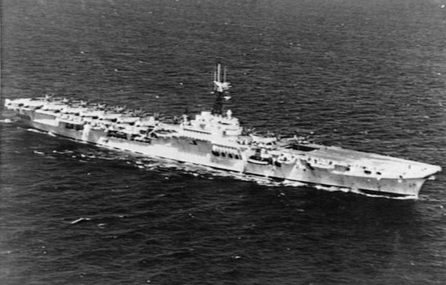 During the Korean War (1950-1953), five Royal Navy light fleet carriers served in the combat area. Their roles were to carry out strike operations against tactical targets ashore and to enforce a naval blockade. HMS Glory was the carrier that saw the most action during the war. Her aircraft, Sea Furies and Firefly FR5s destroyed 70 bridges, 392 vehicles, and 49 railway trucks. 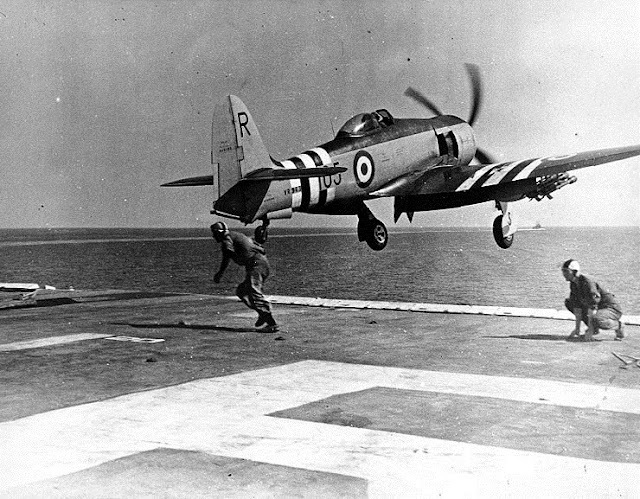 Hawker "Sea Fury" Fighter is catapulted from the HMS Glory, during Korean war operations circa June 1951. 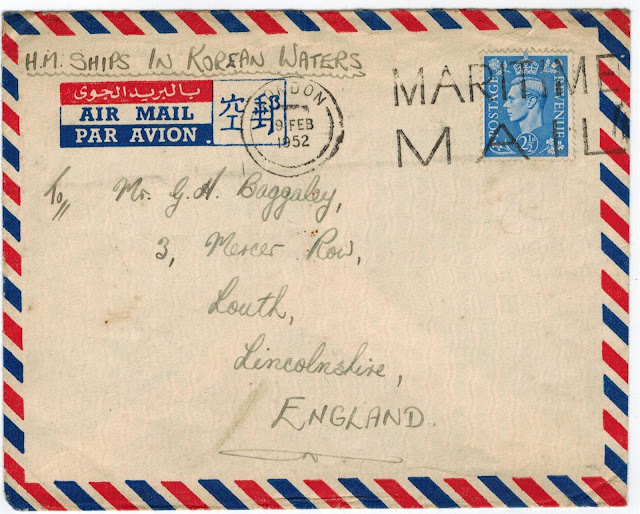 HMS Glory served three tours in Korea. The cover below was mailed during her second tour. "H.M. Ships in Korean Waters"